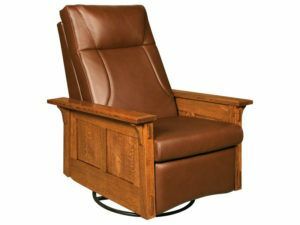 Amish cabinetmakers custom-build every piece in this lineup of recliners and rocker recliners. So they’re unrivaled in ruggedness. Sit. Relax. Recline. And you’ll be taken back to a world of simple comfort and relaxation. Just like the hard-working Amish experience after a busy day. 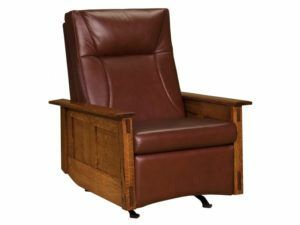 This Heartland Panel Mission Recliner with curved arms and panel sides will help you recline back with your feet up and relieve stress from the day. 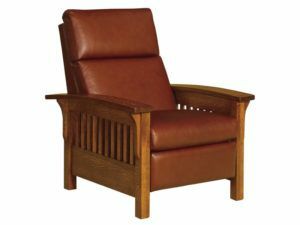 Stretch out and unwind in this mission style Heartland Slat Recliner featuring Mission Slats and leather cover. 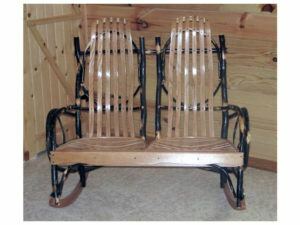 The rustic Hickory Double Rocker with Oak Back and Seat makes a perfect seat for two. 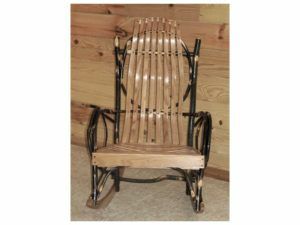 The Hickory Grandpa Rocker with Caned Seat and Back boasts rustic style and durable construction. 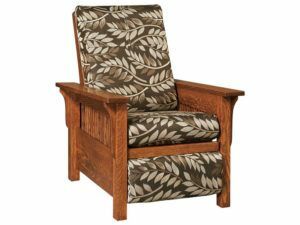 Fine wood selection and durable craftsmanship guarantees that the Grandpa Rocker with Fabric will be a cherished furnishing for generations to come. 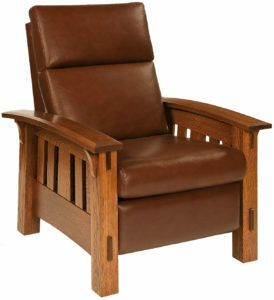 Beautiful natural hickory wood makes each Hickory Rocker with Red Oak Back and Seat a truly one-of-a-kind furnishing. 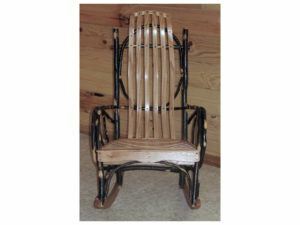 Natural hickory wood and curved panels give the Jumbo Hickory Rocker a distinctly rustic style. The McCoy Loveseat Recliner boasts a sleek finish and expert construction. Striking Mission slats accent the timeless McCoy Recliner. 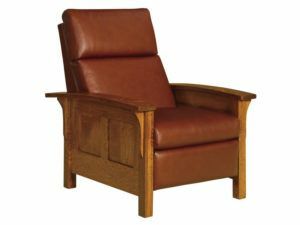 The McCoy Rocker Recliner possesses a level of style and comfort unmatched by other recliners. 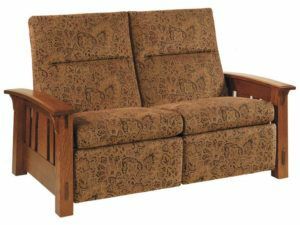 The McCoy Sofa Recliner features bowed arms and plush seating. 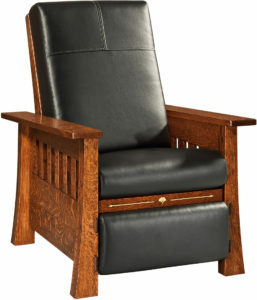 A timeless design marks the McCoy Swivel Rocker Recliner. 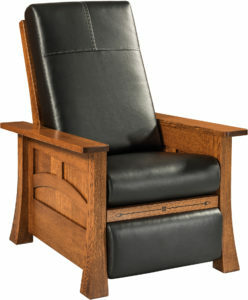 Fine hickory construction and plenty of space meet in the Oversized Hickory Rocker. 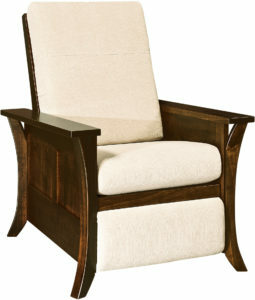 Extra long curved slats make the Overtall Hickory Rocker a furnishing with plenty of space. 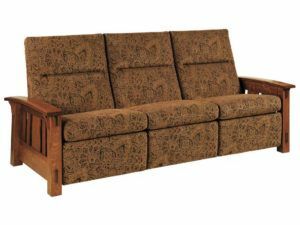 The Skyline Panel Loveseat Recliner features wood panel sides and has a fabric back and spring construction in the seats. This Skyline Slat Loveseat Recliner features Mission slats and corbels on each corner. 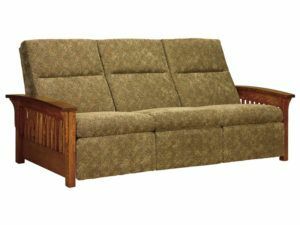 This gorgeous Skyline Slat Sofa Recliner has two recliners (one at each end) feature striking Mission slats. 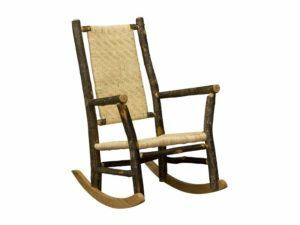 Brandeberry Amish Furniture presents a unique collection of Amish-built and inspired recliners and rocker recliners. They’re reminiscent of an era past. 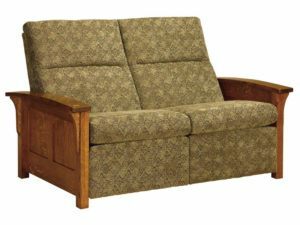 And our collection of recliners and rocker recliners gives you the comfort and relaxation you’ve come to expect in a modern recliner. But they go a step further. 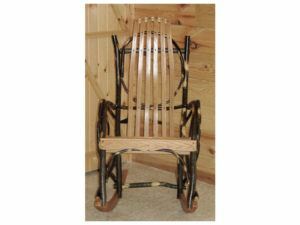 Because Amish artisans custom-build each product. So they’re rugged. And they utilize plush fabrics. As a result, your family and guests will revel in unrivaled comfort. Plus the eye-catching pieces make great conversation starters. Because they serve as a throwback to simpler, more wholesome times. So enjoy the search. 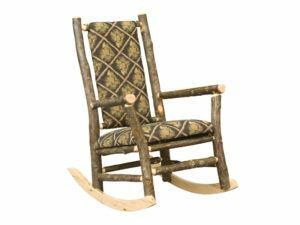 And relish your new Amish recliner or rocker recliner from Brandenberry.